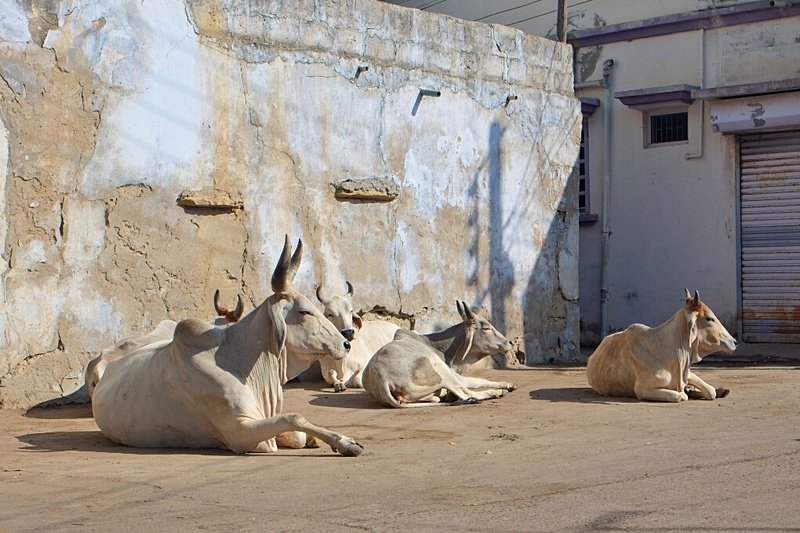 In the back streets of the small town of Mandvi in Gujarat, on the coast of the Arabian Sea. You know how a cat can be in the oddest position, and look utterly relaxed and comfortable? These guys are the polar opposite. The one in the foreground looks like a sculpture. Fabulous eye, Pete. Zhoen, you might be surprised how comfortable these cattle are. They might be Hindu, but they're among the most zen animals I've met. I believe you, of course. But they don't look it. More like serene suffering, to me. There is almost a whio like quality as to how comfortably they blend in with their surroundings. Zhoen, maybe they're just doing yoga (which strikes me as an attempt at serene suffering). Kia ora Robb. I hadn't thought of that comparison, but you're right. They're very much part of their environment.